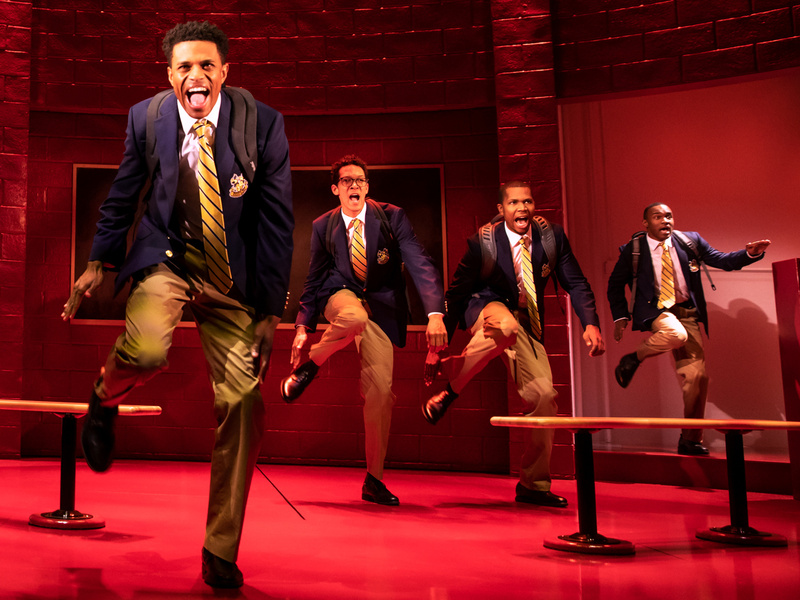 With rousing gospel songs and a talented cast of newcomers, the acclaimed new play Choir Boy tells of the students in a prep school struggling with the institution’s deep roots in tradition. 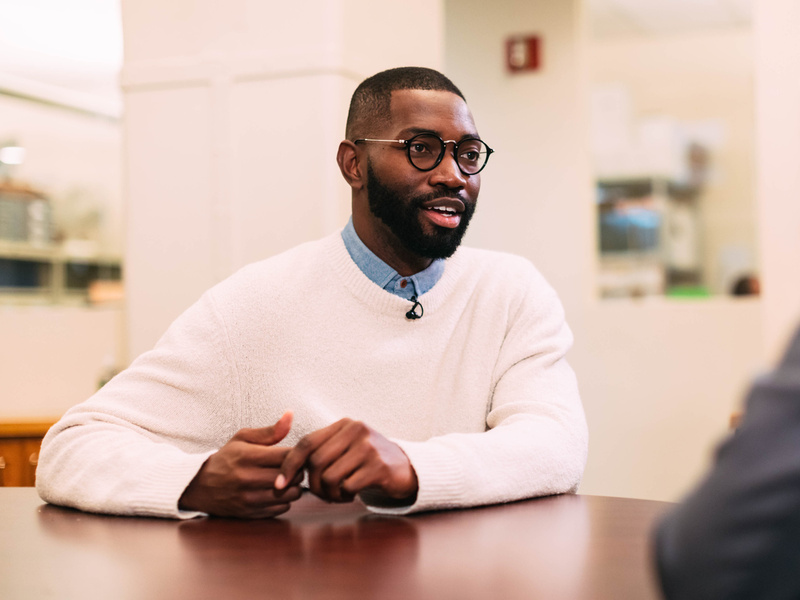 For playwright Tarell Alvin McCraney—making his Broadway debut with the show—the story was born out of his relationship with his own community of Liberty City in Miami, Florida, which was also the setting of his Oscar-winning film Moonlight. Choir Boy introduces audiences to Pharus, a young hero who is, like McCraney, gay and gifted. Blessed with the gift of song, Pharus is ready to take his spot as the leader of the gospel choir of the Charles R. Drew Prep School at the start of the show. Pharus is played by Broadway newcomer Jeremy Pope, who previously earned raves in the role when the play debuted at Manhattan Theater Club off-Broadway in 2013 (Choir Boy is now running at MTC’s Broadway home at the Samuel J. Friedman Theatre through March 10). Pope is a rising star who will be seen again on Broadway later this season as one of the stars of Ain’t Too Proud: The Life and Times of the Temptations. As a young man growing up in Orlando, he knew he wanted to perform onstage, but saw limited options laid out for him. “It’s like, maybe one day you’ll be on Broadway,” he said. 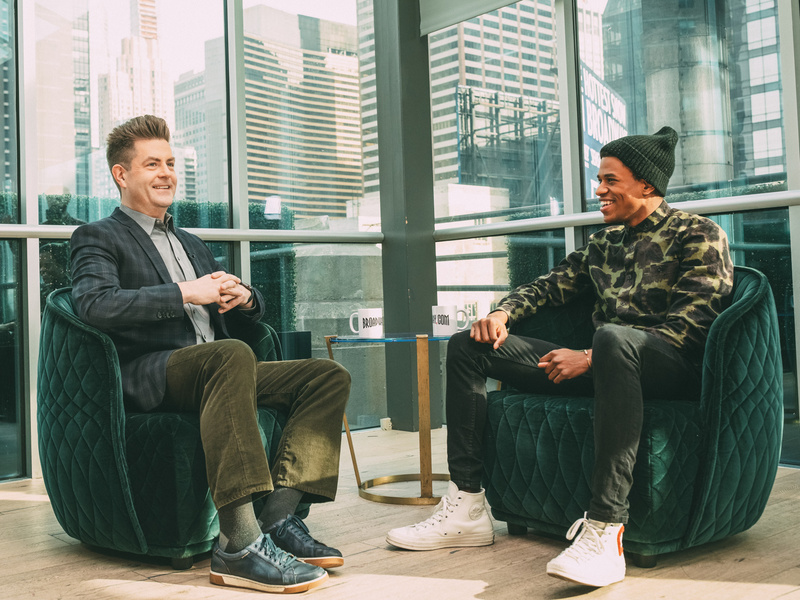 “Maybe I’ll be in The Lion King or [play] Seaweed in Hairspray.” With precious few leading roles for actors of color on Broadway, and even less LGBTQ characters of color, Pope could have never imagined a meaty role like Pharus would present itself. 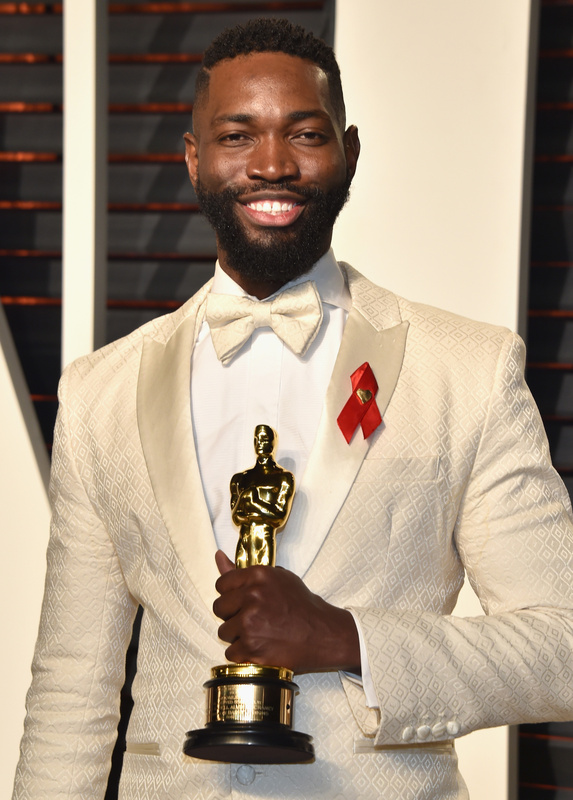 McCraney took to the national stage when he won the 2017 Academy Award for Best Adapted Screenplay alongside director Barry Jenkins for Moonlight, which also won Best Picture. A fixture of off-Broadway since his The Brothers Size premiered at the Public Theater in 2007, McCraney is suddenly hot in Hollywood, with his latest TV project David Makes Man debuting on OWN this summer. His favorite memory of his recent rise was an outdoor screening of Oscar night in his childhood home. The Broadway premiere of Oscar winner Tarell Alvin McCraney's acclaimed drama.